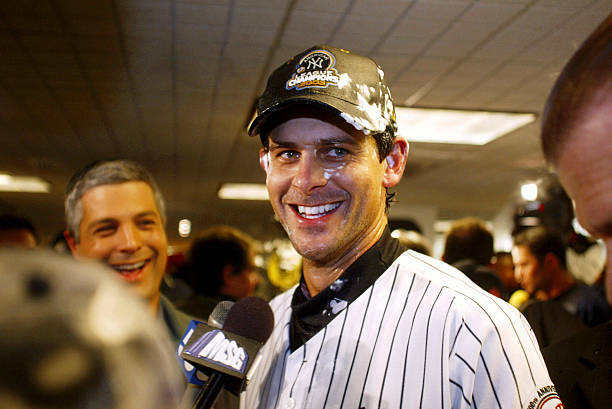 The reaction to the impending announcement that Aaron Boone will be named the next manager of the New York Yankees has met with a broad range of emotions. I don’t think he was the first choice for any of us, but he is NOT a bad choice. I am getting a little tired of the ‘we should have kept Joe Girardi…’ comments. That ship has sailed. For whatever reasons, GM Brian Cashman and Managing General Partner Hal Steinbrenner determined that a new voice is needed for the next era of Yankees Baseball. Girardi had a good run but times change. Yesterday, I was perusing YouTube for Aaron Boone video clips (for personal research). This morning, I woke to find that NJ Advance Media for NJ.com’s Randy Miller had been doing the same thing and he posted a few clips on their website. I love the imitations of Joe Torre’s walk and Alex Rodriguez at bat. There’s no question that Boone is going to bring a humorous, relaxed vibe to the Yankees clubhouse. Tough when necessary, but supportive and collaborative at other times. Former Yankees manager Joe Torre brought such warmth to the position, which was lacking under Girardi’s leadership. I see more shades of Torre in Boone. I think he brings the right leadership to a young team at the right time. 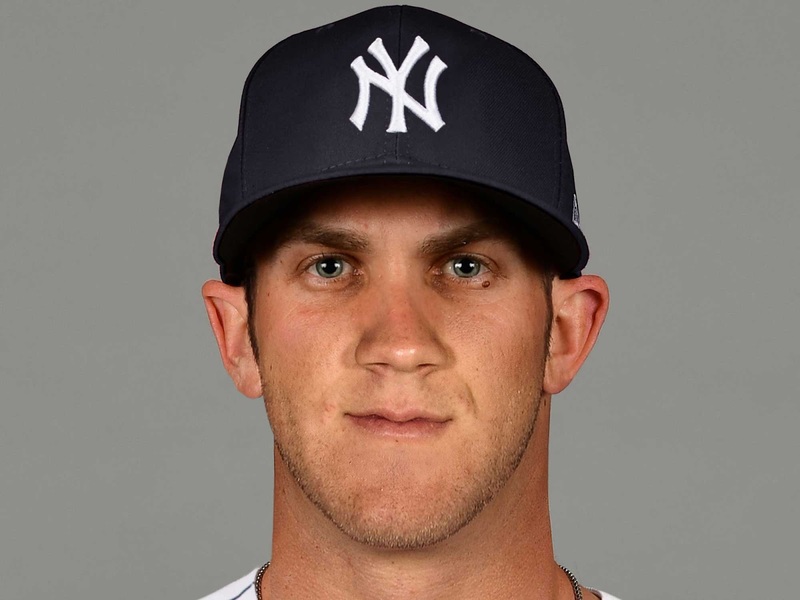 I am onboard with Boone’s selection and feel strongly that he deserves to be given a chance by the Yankees Universe. I realize that Boone has never managed or coached at any level, but he deserves our support. He successfully sold Cashman (and ultimately the Steinbrenner family) on the reasons why he should be the next manager of the New York Yankees. They know the Yankees better than any of us and we should trust their decision. Boonie will have to choose a new number since his old number (19) is currently occupied by Masahiro Tanaka. His dad’s number and the number Aaron wore at the end of his playing career with the Houston Astros is also out due to the retirement of the number for Bill Dickey and Yogi Berra (8). I look forward to the formal announcement of Boone as the new manager. Hopefully it will happen this week. I also look forward to the composition of the new coaching staff to join holdover pitching coach Larry Rothschild. It’s nice to know that the Shohei Otani talk will be finished by December 22nd…except for whatever city lands the two-way superstar. All 30 teams were given an opportunity to make their presentation plus answering a questionnaire for the highly talented 23-year-old. Apparently, Otani will be working with his agents to make a cut by weekend’s end to determine which teams will have an opportunity to talk with Otani’s agents this week. It’s a certainty the Yankees will make the cut, but where Otani ultimately lands is really anybody’s guess despite reports the Yankees are the favorites. There are too many variables at play. 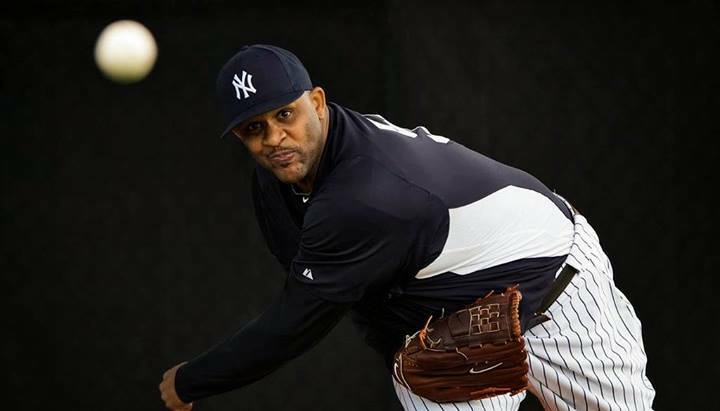 While I am sure the Yankees have full resources in Los Angeles, I hope they do not lose sight of re-signing free agent pitcher CC Sabathia. The annual Baseball Winter Meetings always represent the height of excitement for the baseball off-season and we are a week away from the drama. All eyes will be on Orlando, Florida this time next week. The Yankees are not expected to be big players in free agency (aside from the Shohei Otani sweepstakes) but there’s always the potential for a significant trade or two. 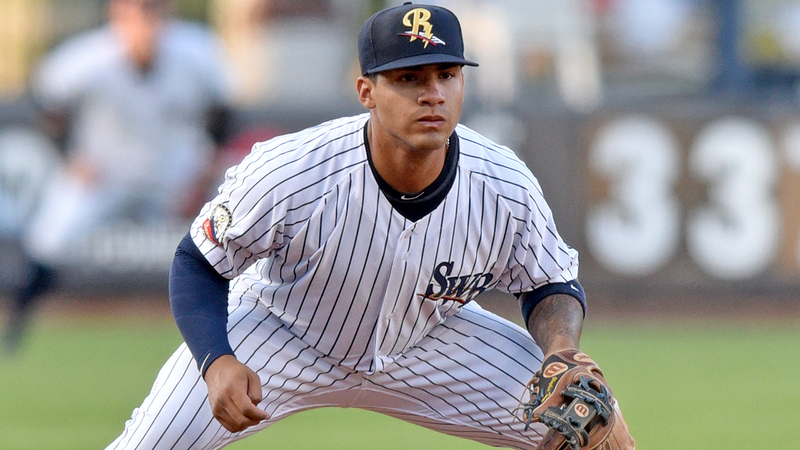 One of the early decisions for new manager Aaron Boone next year will be where to play top prospect Gleyber Torres when he is ready. There’s no doubt we’ll see him make his Major League debut at some point in the 2018 season…the only question is when. No one really expects him to break camp with the big league club but it won’t be too deep into the season. 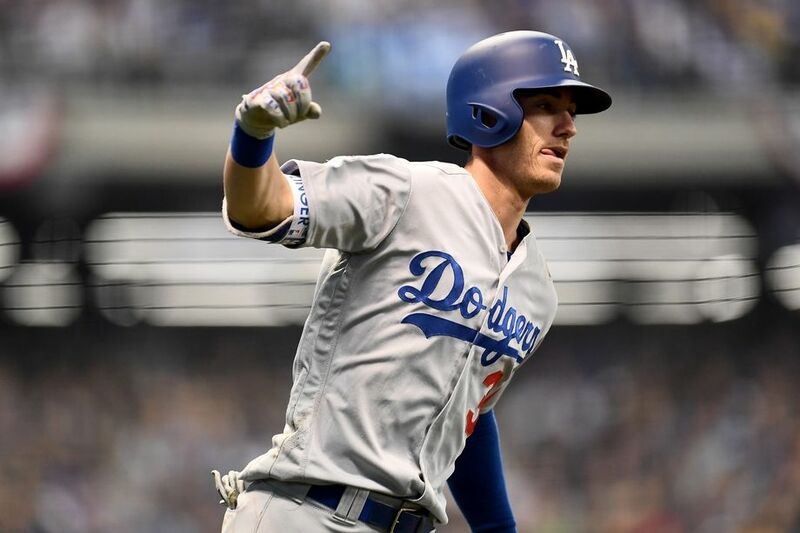 The easy answer is to play him at third base in place of Chase Headley but there is speculation that he might be better suited for second base (particularly given how close third base prospect Miguel Andujar is to being Major League-ready). Therefore, it would not surprise me if the Yankees moved Starlin Castro. I don’t think they will, but the possibility is certainly there. The Winter Meetings would be a tremendous success if the Yankees could somehow find a taker for Jacoby Ellsbury and boatloads of cash. I would not be disappointed to see Chase Headley go either. I’ve heard David Robertson’s name mentioned but I’d really hate to see D-Rob go. It was so great having him back in the Bronx last year. He was a Yankee that I missed when he left and I don’t want to see his departure any time soon. I know the Yankees have no plans to re-sign Matt Holliday but I really liked the veteran leadership that he brought to the team last year. I really wish that we could have seen a full healthy season for Holliday. He’d be great for a coaching staff one day. The Giancarlo Stanton talk has centered on the San Francisco Giants and the St Louis Cardinals, but the latest rumors indicate that Stanton has no desire to go to the Midwest. So far, his preferred destination, the Los Angeles Dodgers, have not entered the conversations. With the Giants appearing to be the frontrunner, I am a little surprised the Dodgers would let the big slugger go to their chief division rival especially since the motivation for the Miami Marlins is more on salary relief than it is prospect/talent return. 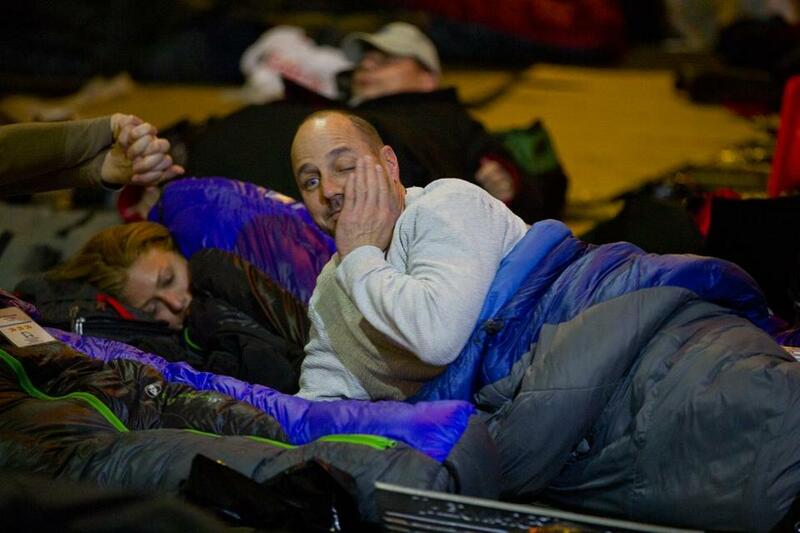 I keep expecting Andrew Friedman and company to rise up late in negotiations to snag Giancarlo. I’d love to see Stanton in the Bronx but I just don’t see the Yankees taking on that contract this year. It is nice to see that things are picking up for the Hot Stove League. Every year, I am excited about the Baseball Winter Meetings. As a Yankees fan, they are not always fruitful (not like they were under the reign of George Steinbrenner) but it is a very fun and exciting time for baseball in general. For now, let’s see what this week brings. Go Yankees! Given every other writer (or blogger in my case) has written that this has been the slowest off-season in recent memory, I will do my obligatory part to say that it’s been so slow. November 29th and the best we can say is that former Boston Red Sox starter Doug Fister has signed a free agent contract with the Texas Rangers. The Red Sox picked Fister up off the scrap heap last summer and he gave them some decent starts down the stretch when they had holes popping up in other parts of the starting rotation. Good for him that he parlayed it into some sense of short-term job security in Texas. I expected the Thanksgiving weekend to be quiet and it was. 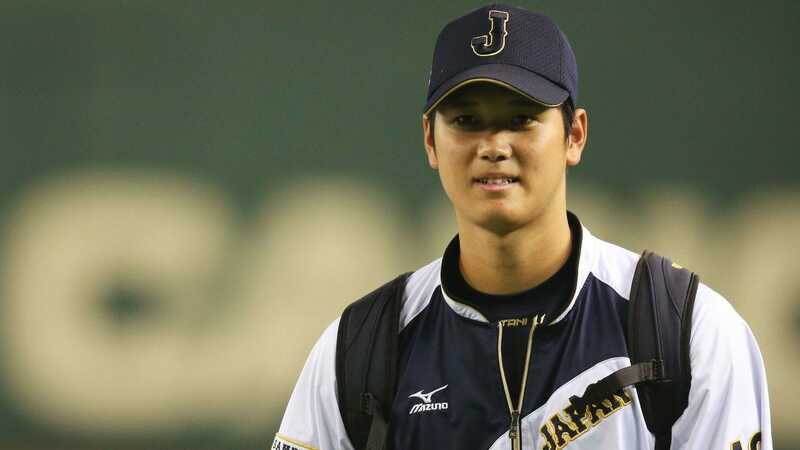 No Yankees news other than the preparation by all teams for the much anticipated posting of Japanese superstar Shohei Otani which should occur shortly after Friday when the MLB Owners ratify the new posting agreement. The Yankees are obvious favorites but of course some teams have been very vocal about their intent to pursue the two-way star. The loudest has been the Seattle Mariners. We know that this move is not about money so the fact the Yankees can offer the second highest amount of green does not necessarily mean anything. I’ve felt all along that this move, for now, is about the endorsement dollars. I read one writer say Otani could make up to $20 million per year in endorsement deals between the United States and Japan. I realize that Otani played in a smaller market in Japan for a “ham company” but I feel that if he wants to be the best, there is none other than the New York Yankees for him. He’d have the opportunity to play in the greatest city (highest potential for endorsement deals) and he’d join a young team on the verge of something truly special. His age would fit nicely with the other Baby Bombers to ensure an extended competitive run for the duration of his stay. 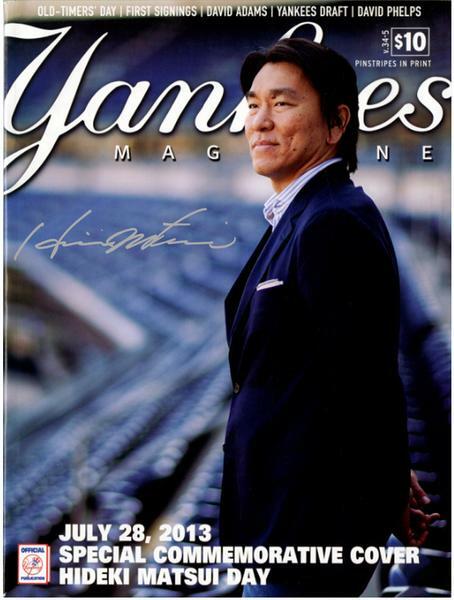 He’d have a pitcher on the Yankees pitching staff that could help serve as a mentor (Masahiro Tanaka) and he’d have access to one of Japan’s greatest baseball players with Hideki Matsui (who knew a thing or two about incredible clutch hitting), currently special assistant to GM Brian Cashman. I think it is an easy decision for Otani but of course, at this point, it is anybody’s guess where he ends up. In the end, I do hope it is Team Yankees while recognizing there are risks with a player attempting to both pitch and hit on a regular basis. Otani is a special talent and there may never be an opportunity to get a player of his caliber for only $3.5 million under team control for multiple years. No question that fits into Hal Steinbrenner’s 2018 budget. Carlos Beltran will become the sixth man interviewed for the Yankees managerial opening today. I like Carlos and I value his ability to communicate with players and the media, but I struggle with the idea of the player-to-manager path with no coaching experience. I wouldn’t mind seeing Beltran as part of the Yankees coaching staff but I’d really prefer someone who at least has coaching experience as its new manager. 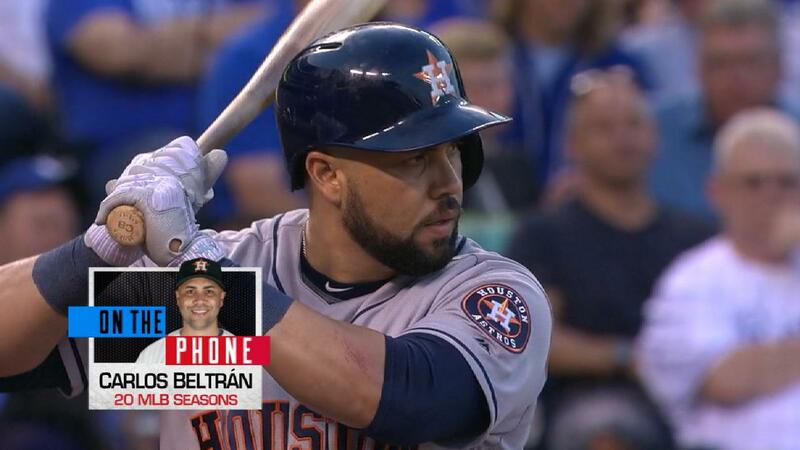 I saw a bunch of tweets yesterday that compared Beltran to Joe Torre as a player who successfully made the transition. But no one was mentioning that Torre’s record with his first team, the New York Mets, was a .405 winning percentage (286-420). 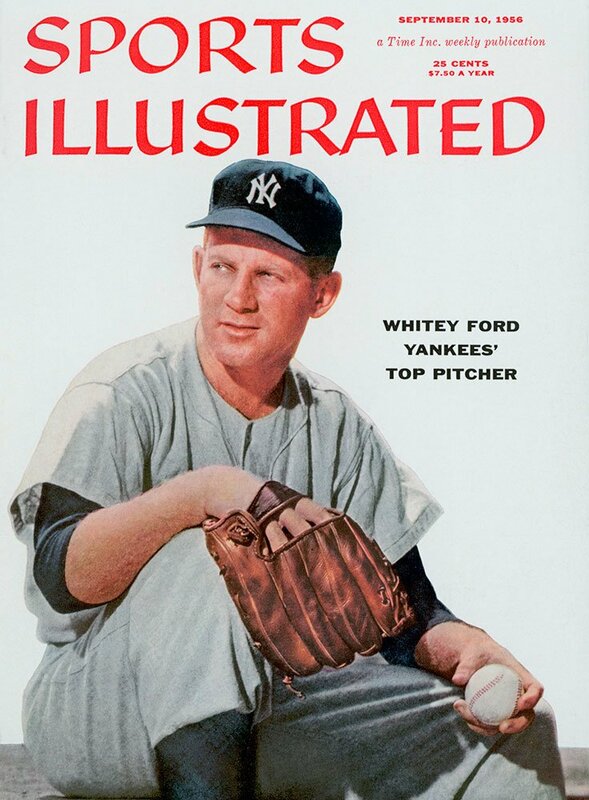 He didn’t experience post-season success until he managed his fourth team, the Yankees. Beltran may prove to be an excellent manager one day but for a team that is positioned for success now, I’d rather not have a guy learning on the job. Credit to Peter Gammons for this piece that I found interesting. Newly acquired RHP Michael King (who joined the Yankees in the trade that sent LHP Caleb Smith and 1B Garrett Cooper to the Miami Marlins) was a second team All-State performer for Bishop Hendricksen High School in Warwick, Rhode Island in 2012. That summer he played in the Annual Summer Rivalry Classic held for Northeastern high school kids at Yankee Stadium. Among the free offerings that day was bubble gum that King was very fond of, stuffing perhaps 6 or 7 sticks of gum into his mouth at one point. Asked what he did with that big wad of gum, King indicated that he stuck it under the bench. 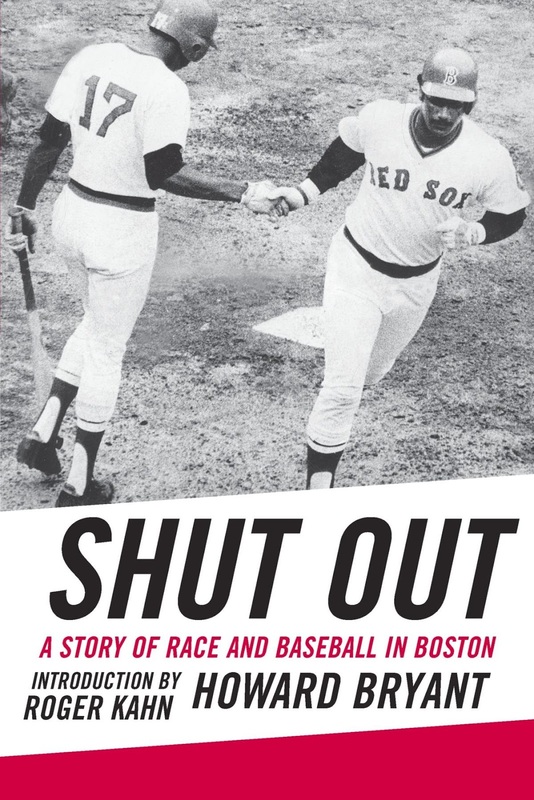 According to Gammons, King, a childhood Yankees fan, said, “I figured I’d get it back when I get back there to the bullpen as a Yankee.” I love that story and the optimism. I look forward to the dream being fulfilled. Congratulations to Brian Cashman for being named as Baseball America’s 2017 Major League Executive of the Year! It was a much deserved honor for the great GM. It probably doesn’t hurt the contract negotiations for his new deal either. Hal Steinbrenner issued a statement that read, “Brian plays a crucial role in our success, and I’ve known for quite some time how fortunate we are to have him leading our Baseball Operations Department. 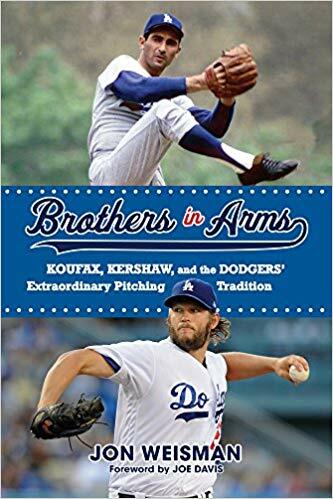 He cares deeply about this franchise and our fans, and he skillfully navigates the many challenges that come with holding the position he does in the media capital of the world.” Not bad for a kid who grew up as a Dodgers fan. He is ensuring that his name will be forever marked in Yankees history as one of the great pillars of success. Next stop, World Series! Like everyone else, I am ready for some real off-season baseball action. But I am sure that once the calendar page turns to December, we’d better hold on. It should be a fun ride! Will Joe Girardi be the Yankees manager this time next year? As the manager enters the final year of his contract, the expectation is that he’ll re-sign with the Yankees in October or November. But anything is possible. 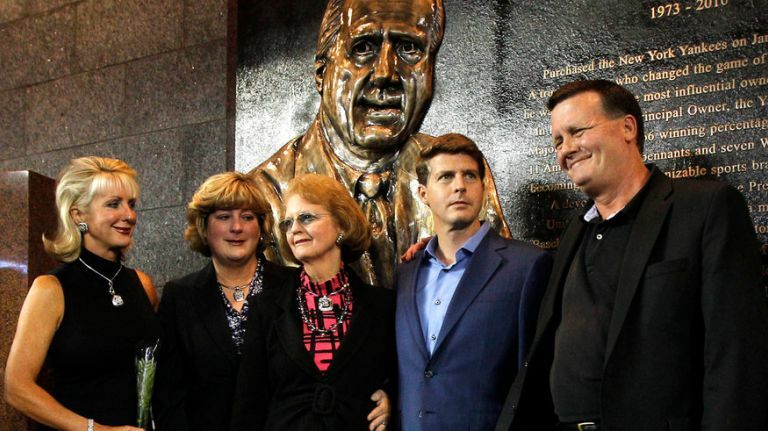 The Steinbrenner family might have a change of heart and decide that a change is needed. Girardi has held the job for a long time (this will be his 10th season as Yankees skipper). I get frustrated with Girardi at times. He’s never been one of my favorite managers. I had greater confidence in Joe Torre’s ability to lead. Among current managers, I hold Don Mattingly and Terry “Tito” Francona in highest regard. Mattingly was my favorite player so sentimentally that’s probably why he is my favorite manager. In 2008, when the Yankees hired Girardi over Mattingly, I did think it was the right decision given Mattingly’s lack of managerial experience at the time. 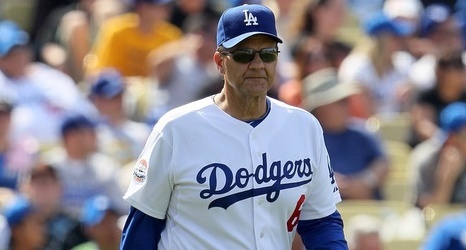 Mattingly was not able to succeed in Los Angeles for the Dodgers, but I’ve felt he has continually improved each year. Today, I’d easily take Mattingly over Girardi. My only reservation with hiring Mattingly as Yankees manager (assuming the Yankees could pry him from Miami) is preservation of his Yankees legacy. Managers are hired to be fired or so the saying goes. I wouldn’t want my final memory of Mattingly in pinstripes to be him walking away after being fired. I have admired Francona since he was manager of the Boston Red Sox. 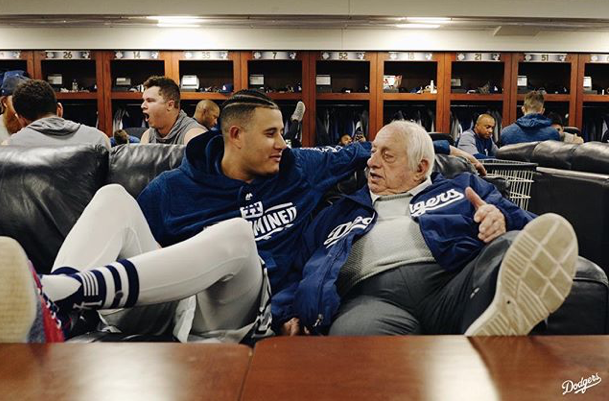 I had great respect for the champions he built and of course he was responsible for ending The Curse of the Bambino, along with then general manager Theo Epstein. I doubt that Francona would ever leave the Cleveland Indians (by his own choice). The Yankees could have hired him after he was fired in Boston but they did not express any interest. Francona has history with the Cleveland Indians franchise (pre-dating his time in Boston), and after taking the team to the World Series last year, he is very beloved in the city. If the Yankees do decide to make a managerial change at the end of the season, I just don’t see any overwhelming candidates who could do a better job. Mattingly would be great, but he is under contract, so it would take a trade to make it happen. I am not enthused by simply elevating one of the coaches (Rob Thomson or Tony Pena). This situation bears watching over the course of the season. I think the odds are much better that GM Brian Cashman, also in the final year of a contract, re-signs with the Yankees than Girardi. Time will tell. The Yankees have various degrees of competition at certain positions this spring. The most obvious is the two open spots in the pitching rotation behind Masahiro Tanaka, Michael Pineda and CC Sabathia. The early leaders, in my opinion, are Luis Severino and Bryan Mitchell. But there is still time for Chad Green, Luis Cessa, and perhaps Adam Warren to state their case. I am anxious and excited for Jordan Montgomery and James Kaprielian but it does not appear to be their times yet. Kaprielian has the higher ceiling but he won’t make an appearance at Yankee Stadium, barring injuries, until September at the earliest. Montgomery could show up sooner and might be the first or second option if someone gets hurt. The competition at first base evaporated somewhat when Tyler Austin broke his foot. Greg Bird clearly holds the advantage over Chris Carter despite the latter’s 41 home runs last season. Unlike Carter, Bird is good defensively (even if he’s not on par with former first baseman Mark Teixeira’s glove) and hits for average. As Bird has shown this spring, he still has his power following last year’s injury. 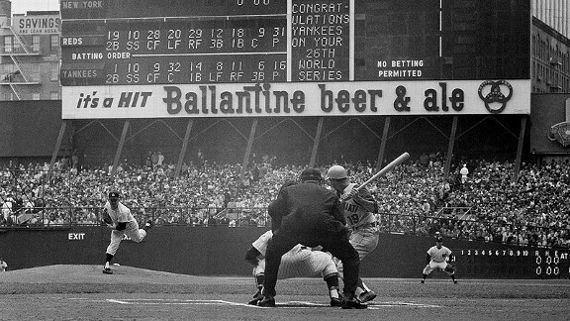 Right field was also a speculated position of competition. Most assume that Aaron Judge will get the job, but technically, he is in competition with Aaron Hicks. Judge has a much greater upside, but he did strike out 42 out of 84 times late last season. If he is not able to make the necessary adjustments at the big league level, it could open the door for Hicks to take the job. I personally hope it does not happen. I am hopeful that Judge figures it out at this level like he has at every level thus far. Kudos to OF Clint Frazier for cutting his bushy red hair this week. While I personally feel that the Yankees current hair policy is outdated, I thought it was a good move by Frazier to cut his hair after a talk with Manager Joe Girardi. Girardi felt that the hair had become a distraction. It was a mature statement by Frazier in saying that he loved playing for the organization more than his hair. Frazier won’t break camp with the Yankees, but he’ll be there soon enough. 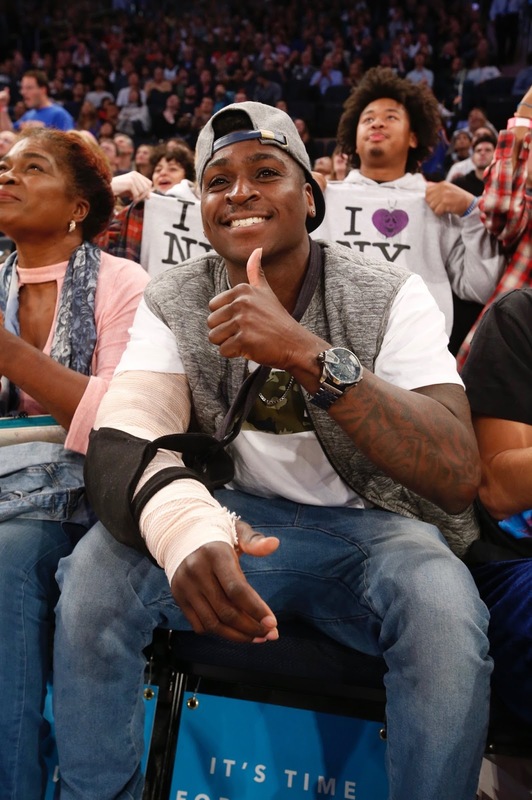 This is all part of his maturation into a dynamic young future star outfielder for the Pinstripers. I should probably watch the WBC more but I’ve never been into it. Still, I fully understand the importance of placing Baseball on the World Stage and should reconsider my complacency. I guess I am just get tired of seeing the Dominican Republic or Japan always win the competition. Regardless, it was fun to see the USA defeat Columbia, 3-2, on a run-scoring single by Adam Jones of the Baltimore Orioles. Yankees reliever Tyler Clippard picked up the win. The game featured a very strong start by Jose Quintana for Columbia. The rumors continue to swirl about Quintana’s future and the Yankees remain one of the potential destinations. His WBC performance yesterday did nothing to dispel those rumors. What does it take to buy a hit? Apparently not the $45 million the Yankees paid to Carlos Beltran or the $85 mil to Brian McCann or $175 million for former Sox centerfielder Jacoby Ellsbury. This season has been a struggle for wins despite the team’s winning record. It was finally starting to feel a little better at 29-25 but then the Yankees promptly lost 4 in a row. Playing a good team like the Oakland A’s, the Yankees bullpen failed miserably until the final game of the series when David Robertson locked away a win for ace Masahiro Tanaka. 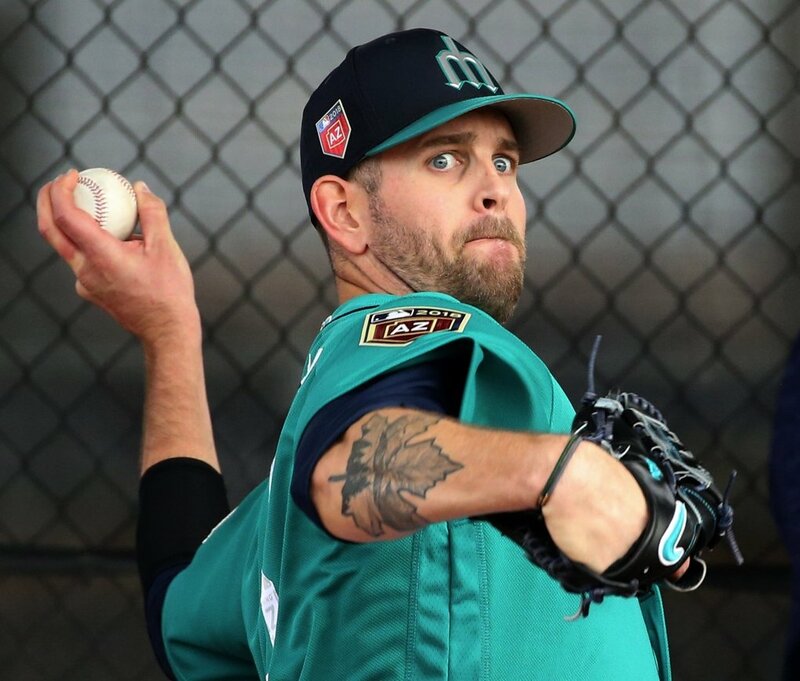 That bleeding started in the series with the Minnesota Twins and was inevitable with the short innings being provided by the replacement starters (i.e., David Phelps, Vidal Nuno and Chase Whitley). When the Yankees are only scoring 1 or 2 runs a game, the starters need to throw a gem almost every outing which obviously is not realistic given the current state of arms. I thought the Yankees should have aggressively tried to sign Stephen Drew before the Boston Red Sox re-signed him, and now I feel the same way about slugger Kendrys Morales. Now that there is no longer draft pick compensation tied to him since the MLB started yesterday, I felt the Yankees should go after him. Maybe they are, but there’s competition. 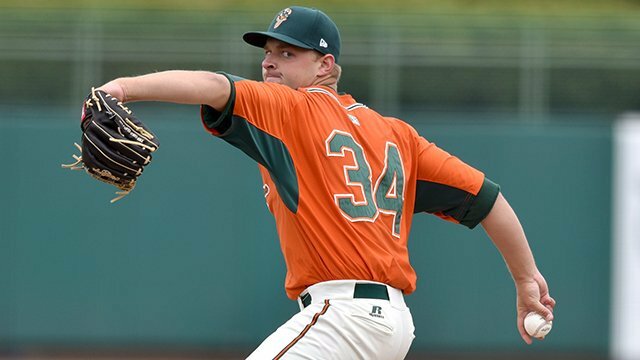 Based on yesterday’s first draft pick for the Yankees in the second, had they signed Morales earlier, the cost would have been lefty reliever Jacob Lindgren who is already projected to make an appearance in the Yankees bullpen this year. But now it’s an open field for Morales and the Yankees have reluctance, wanting to see how Mark Teixeira and Carlos Beltran perform. In my opinion, the odds of one or both going back to the DL at some point is very high, and the designated hitter, Alfonso Soriano, is not hitting, so I would aggressively pursue Morales to cover 1B/DH. Ironically, Morales is the guy the Los Angeles Angels turned to when Mark Teixeira left as a free agent. It worked out well for the Angels and I think it can work out well for the Yankees. No ifs, ands, or buts, the Yankees need a proven consistent run producer in the middle of the order. I agree with those who say the Yankees sorely miss Robinson Cano’s bat. 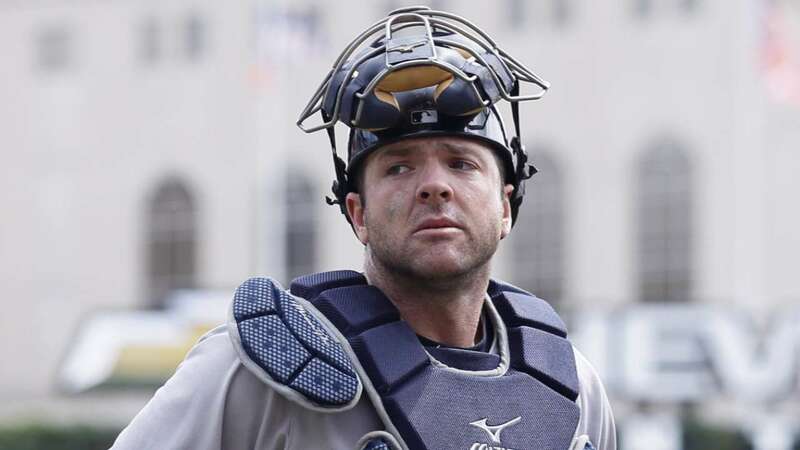 Ironically, the Yankees were also unable to re-sign another slugger having a good year in Milwaukee this year (Mark Reynolds) despite the usual anemic batting average. Those home runs would look pretty good about now in Yankee Stadium. On nights the Yankees are scoring only a run or getting shut out, I even see guys like Milwaukee’s Lyle Overbay, another 2013 Yankee, driving in a couple of runs for his new team. And of course, who delivered the key hit in the Yankees last game with the Twins when the Yankees bullpen collapsed in the late innings? None other than former backup shortstop Eduardo Nunez. At this point, the Toronto Blue Jays are starting to run away with the division. They are clearly playing like the class of the division and they just came off a very successful series against perennial AL contender Detroit. 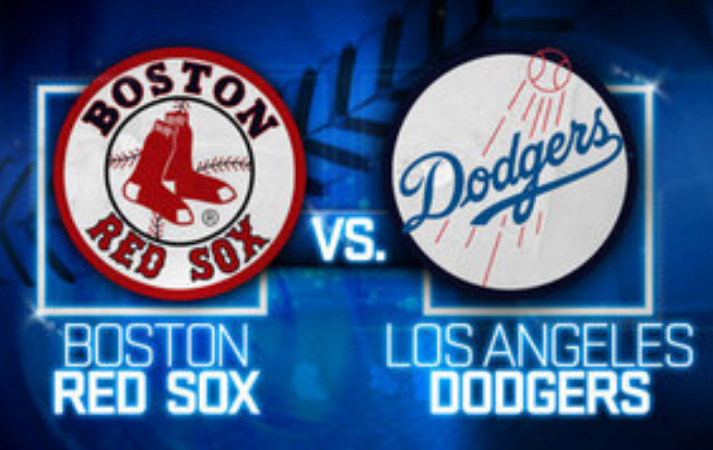 If I had to pick two teams playing in the ALCS right now, I’d pick the Blue Jays and the Oakland A’s. If the Yankees do not figure out how to fix the current offensive drought, they really will be offensive and done for the season in September. 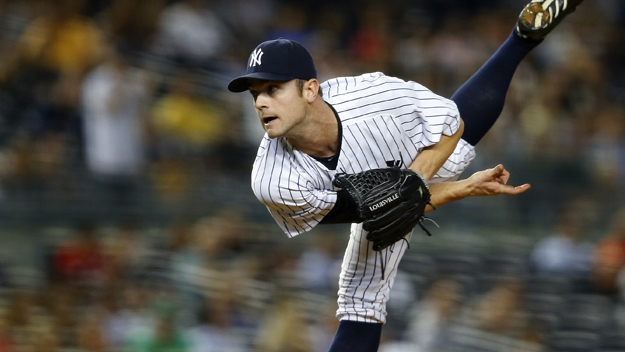 Nothing against David Robertson but I am still not sold on him as the team’s closer. Sure, replacing Mariano Rivera is big shoes to fill. However, I still think that Robertson’s stuff plays best in a Set Up role. I have been intrigued with the possibility of trying Dellin Betances in the role, but he needs more major league experience so maybe next year. The reliever the Yankees picked yesterday (Jacob Lindgren) is also a future possibility. If Robertson blows a few more games like he did against Minnesota, I’d really consider using Andrew Bailey in the role when he gets healthy…for now. Speaking of former Yankees thriving outside of New York, both Phil Hughes and Joba Chamberlain seem to be doing fine. Hughes even captured a victory in the Bronx with the aforementioned bullpen collapse, a place that he couldn’t buy a win last year. Chamberlain has a couple of saves and a decent ERA. I can’t say that I’ve watched him too closely but his stats seem to say that all is good. Why couldn’t have these guys performed like this last year? Rhetorical question and of course, there is something to be said about the pressure of playing in New York. It’s not for everyone. It was sound to hear about the passing of former Yankees bench coach Don Zimmer this week. 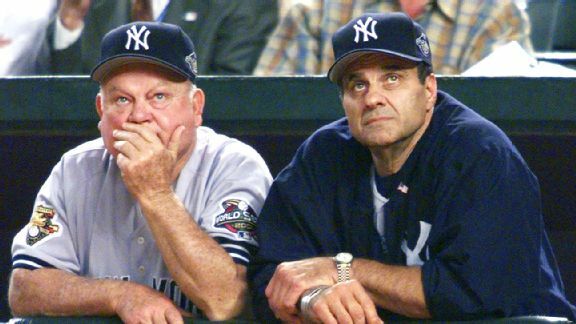 The image of Zim sitting next to Joe Torre on the Yankees bench is forever burned into my memory. He was such a part of those late 90’s championships and he helped mold Torre into a Hall of Fame manager and one who will soon have his number retired in Memorial Park. I realize that sooner or later, all of us must depart. But still, it is sad to see Zim go now. I understand he had been in poor health since April and hopefully he is now at peace. He will be missed as he was truly one of Major League Baseball’s landmarks. Unfortunately, this day was inevitable. Father Time catches up with everyone, including the greatest closer in the history of Major League Baseball. Saturday, the great Mariano Rivera confirmed the speculation of the last few days. 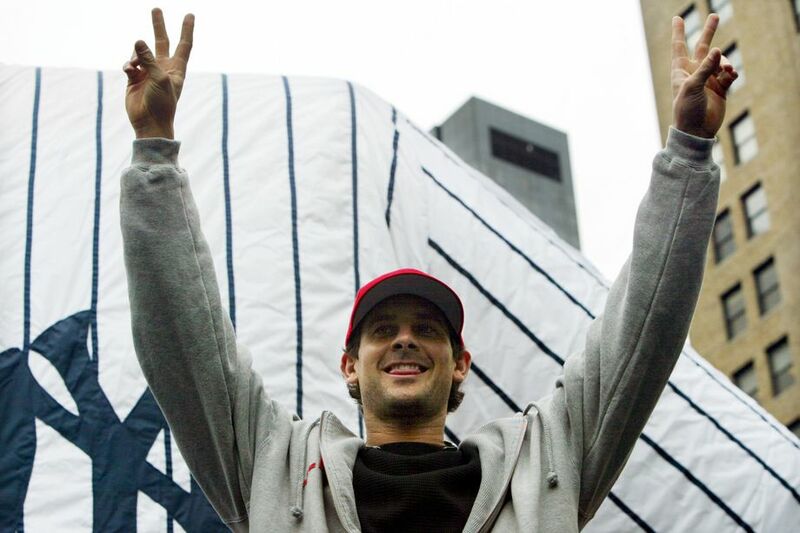 The 2013 season will be his final one as the champion of the 9th inning at Yankee Stadium. Mo has been my favorite Yankee since the time he was the “lights-out” set up guy for closer John Wetteland in the 1996 season. Wetteland was effective, but there were always a few anxious moments. Rivera, on the other hand, completely dominated the hitters prior to turning the ball over to Wetteland. There were so many times that I had wished manager Joe Torre would have stayed with Rivera rather than pulling him for Wetteland. While it was Rivera’s talent and ability that caught my attention, it was his character…full of grace, dignity, and professionalism…that has made me an enduring fan all these years. Rivera has taught so many over the years how to forget life’s failures and how to enjoy its successes without gloating or antagonizing opponents. He has always respected the game and never once in his career has he placed himself above the game or above others. Relievers have had their struggles gaining acceptance into the Hall of Fame, but in my mind, Rivera should be a first ballot entry. 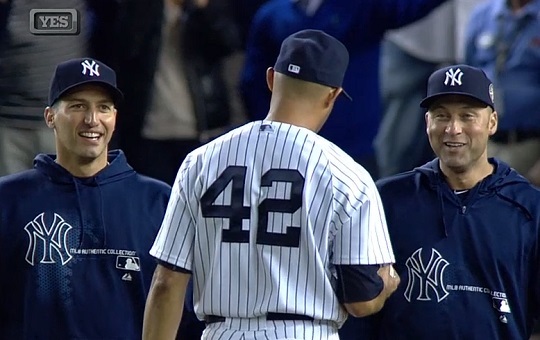 It was appropriate that Mo wore the number #42. As the final active player to wear the number after it was retired league-wide, he has upheld the legacy of Jackie Robinson…perhaps better than anyone else could have. Jackie endured far more challenges and difficulties than I’ll ever be able to fully comprehend, but he paved the path for others including Mariano Rivera to succeed. Mo embodies the depth of character that Jackie Robinson had and it is tremendous that #42 hanging in Memorial Park will stand for two of the greatest men in baseball’s long history. It has been a privilege to call Mo my favorite player for so many years. As I think back upon my life as a Yankees fan, it was Jim “Catfish” Hunter who first attracted me to the Yankees when he signed as a free agent in 1974, along with my high regard for the legendary Lou Gehrig. 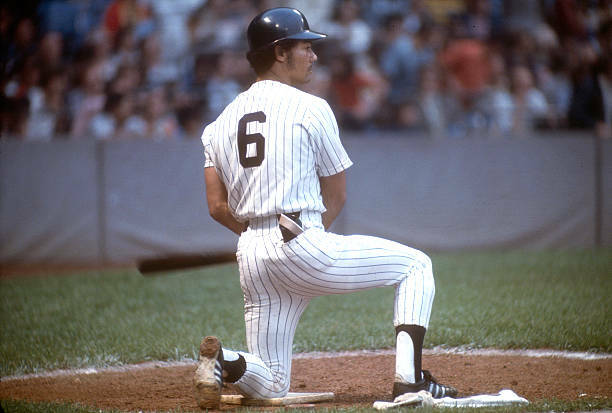 Once a Yankees fan, my favorite player quickly changed to the heart and soul of the team…catcher Thurman Munson. I have always loved to see passion in doing what you enjoy, and Thurman was certainly as fiery and passionate as they come. The 1976 World Series still stands out to me. 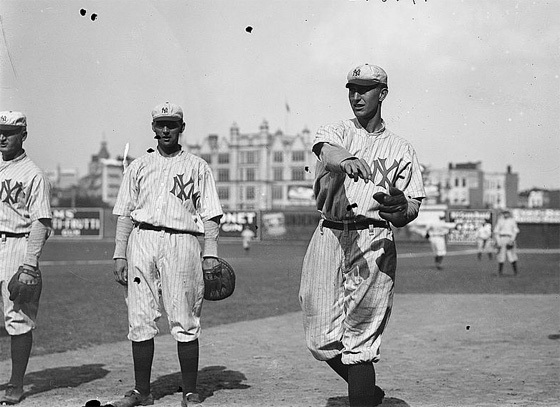 Although the Yankees were swept by the Cincinnati Reds, it wasn’t because of Munson, who hit over .500 in the series. If the rest of the team could have matched Munson’s intensity that year, they would have defeated the Big Red Machine. After Thurman’s untimely death in 1979 (a day that I will always vividly remember, like so many Yankee fans), Rich “Goose” Gossage became my favorite player. After a few years, he had moved on to the San Diego Padres as a free agent. But by that time, Don Mattingly had become my favorite player. Donnie Baseball was one of the great ones and it’s unfortunate that back problems caused the premature end of his production and subsequently career. There’s no doubt in my mind that he’d be in the Hall of Fame if he had been able to sustain his production for a few more years. Donnie Baseball will always be a favorite and he’s the reason that I consider the Los Angeles Dodgers to be my favorite NL team. When Mattingly retired after the 1995 play-off loss to the Seattle Mariners, I became a Mariano Rivera fan. As I look to life beyond 2013, I cannot say that any one player stands out as a potential favorite player. But as history has proven to me, the door will open for the next great Yankees superstar to take the stage. None of this is meant to knock Derek Jeter. He has been a terrific player for so many years and can match Rivera in depth and quality of character stride for stride. He’ll be taking his place in Cooperstown one day, but for me, this day is about Mariano Rivera. Enter the Sandman…Exit the Legend.